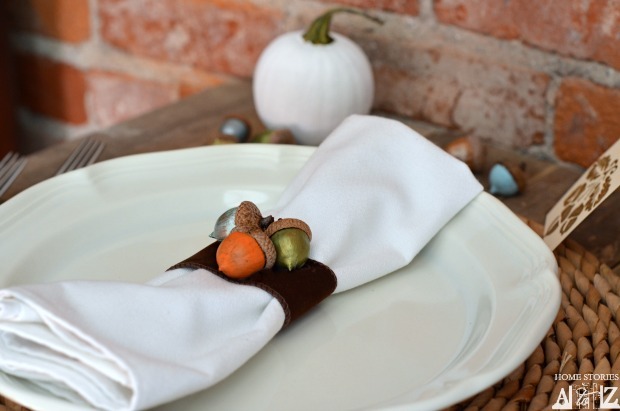 Last week, I shared with you a tutorial on How to Paint Acorns and a few of you emailed asking for an example of how I would use them for Thanksgiving. I’m so glad you asked! 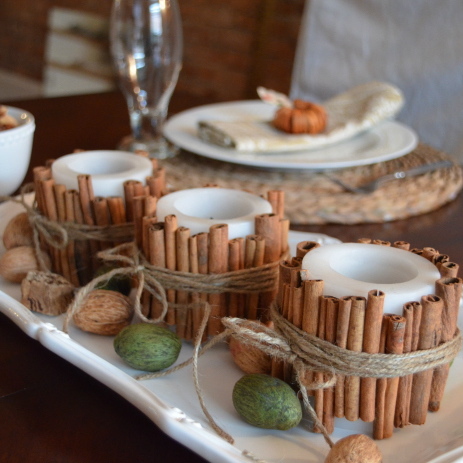 The options are really endless but here is an incredibly easy, holiday-in-a-hurry acorn craft for you. 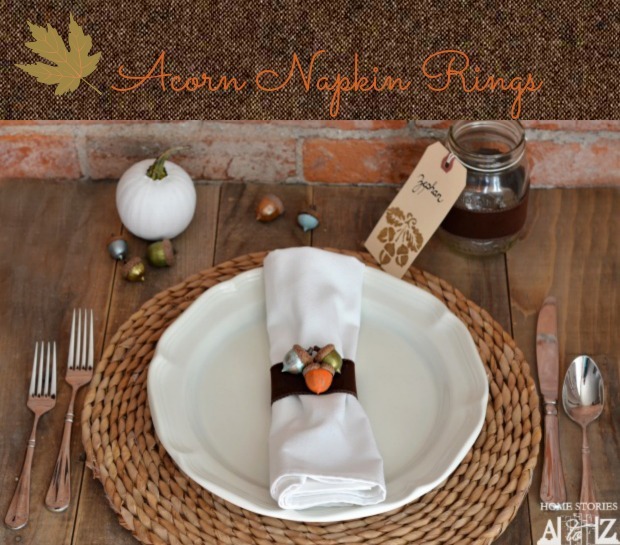 Keep things simple this Thanksgiving with a natural tablescape using white plates, natural placemats, painted acorns, mason drinking jars, and DIY painted acorn napkin rings. Cut your ribbon into 7 inch pieces. 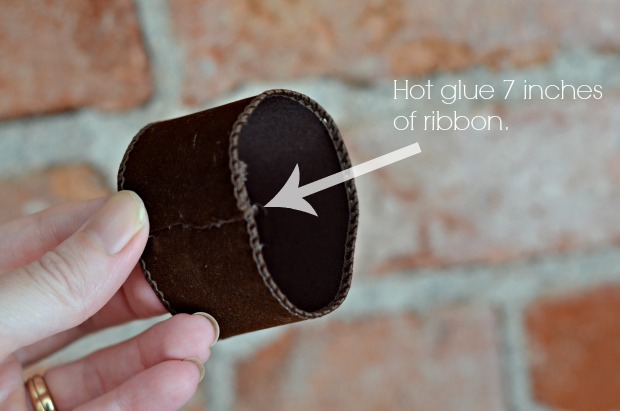 Loop the ribbon with a 1/2 inch seam allowance and hot glue into place. 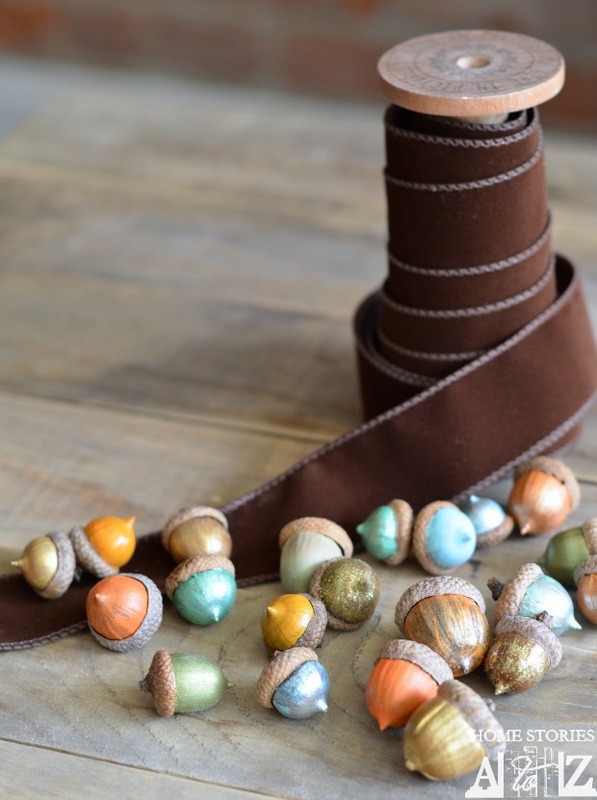 Place your acorns on the ribbon in any pattern of your choosing and hot glue into place. Slip over your napkin and you are DONE! Seriously, that is it. These are so easy and simple to make and yet look adorable. 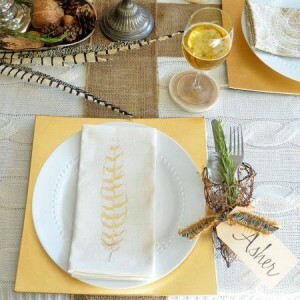 For the place card, I used an office tag (found at any office supply store) and stenciled on some acorns with a Martha Stewart stencil I had on hand. I secured a piece of ribbon around the jar for a more cohesive look. 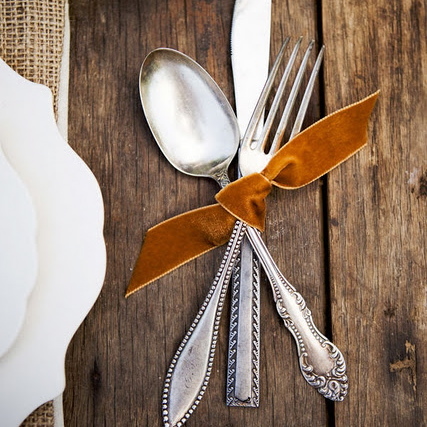 I think this would make a classy and fun kids’ table idea this Thanksgiving or just a simplified tablescape. Enjoy! I LOVE this Beth – so pretty. 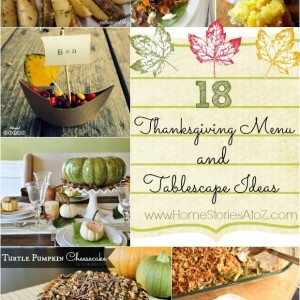 Pinning:) Have a great week! Yay! Thank you Krista :). 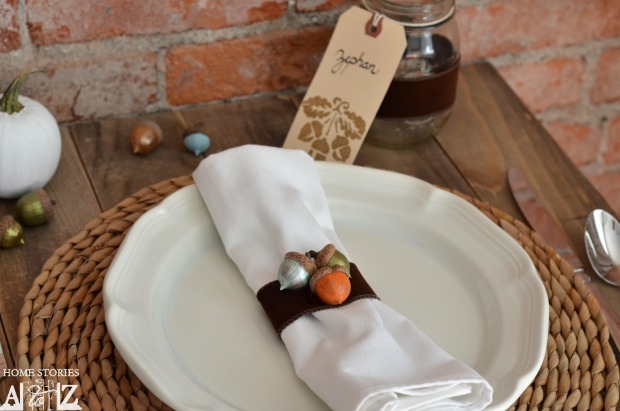 I love the sweet simplicity of these, Beth! So pretty! So cute ! Love this idea !